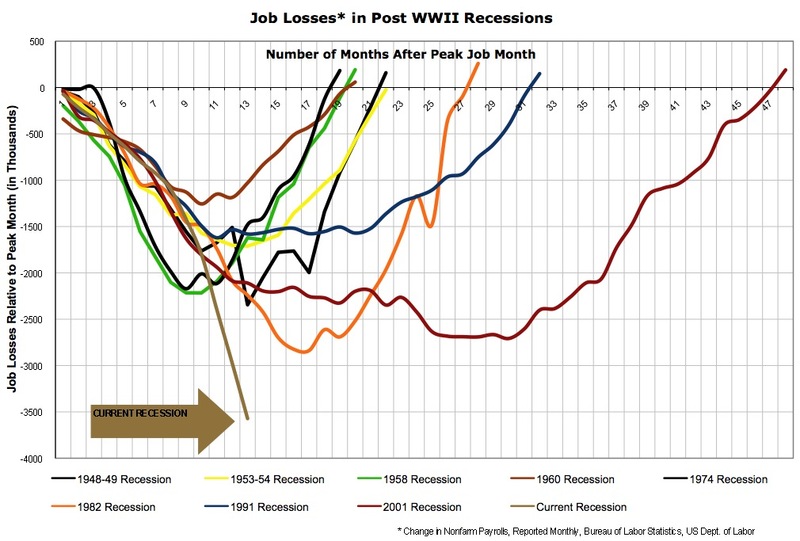 Update: via Barry Ritholtz, the same graph extended to all post-WW2 recessions. 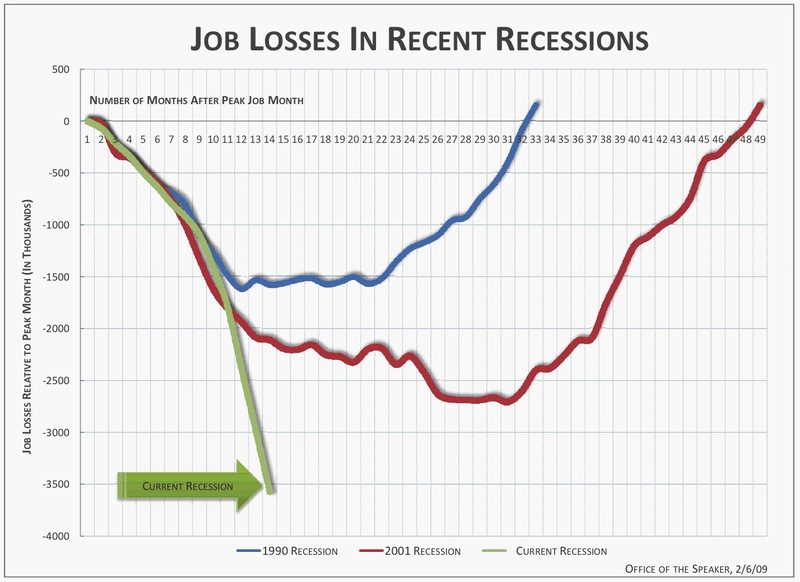 Click either graph for a bigger version. 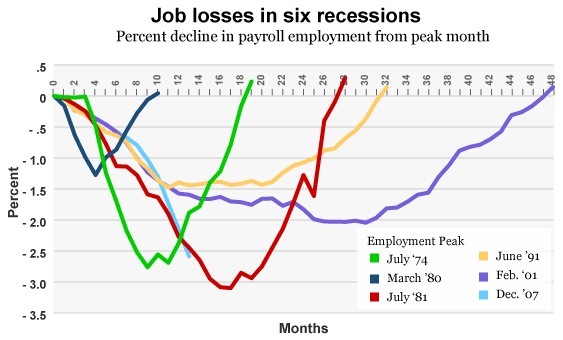 And while we’re at it, one more view, same as the previous graph but in percentages rather than absolute numbers (and fewer recessions). Next Next post: This is really, really bad.